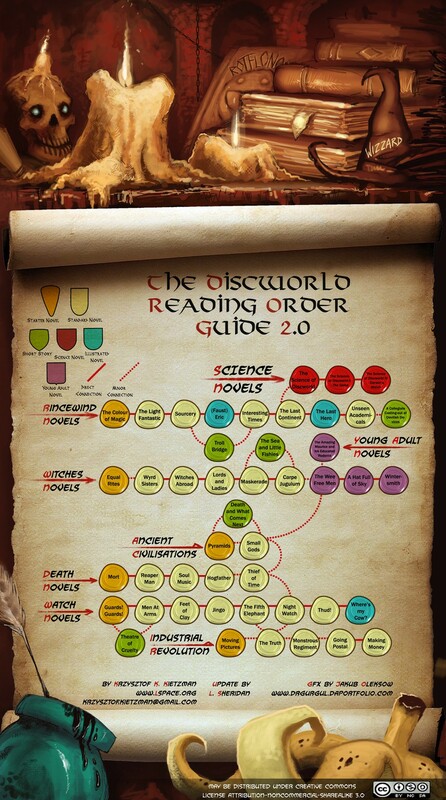 I love Terry Pratchett's Discworld novels so I was delighted by this flow chart with information on the optimal reading order, and the temporal and character links between the books. Looking at the map, I realize that I've read almost all of the books. I must really be a fan.